Agate is for mental energy and study. 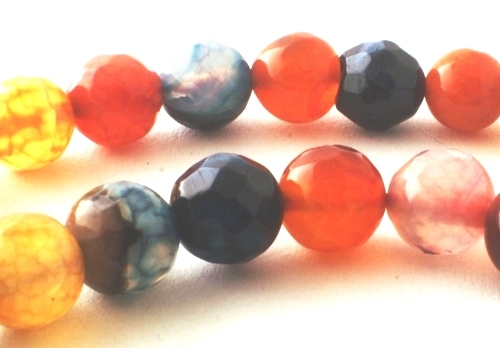 Price is for 15 1/2-inch string of these striking beads. Each 8mm and are a beautiful range of golden summer colors, along with blues and light grey. Nice finish!